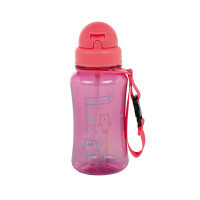 The cheerful water bottle About Friends Grey is fun for both: parents and children alike - very suitable for outings due to the integrated leak-proof lid. 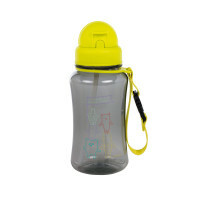 Product information "Drinking Bottle, About Friends Grey"
description & equipment This cheerful water bottle is fun for both parents and children alike. 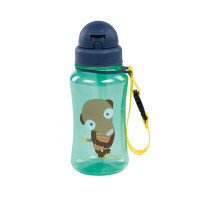 The clear plastic bottle with humorous themes from the Wildlife, About Friends, and Little Monsters collection and an integrated straw is visually appealing to children and, since the size is tailored for children and a bendable straw is included, the bottle motivates children to drink. 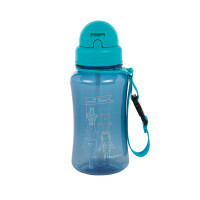 The straw is integrated in the leak-proof lid and can be removed any time for cleaning. The bottle, straw and lid are dishwasher safe. The straw and lid must be washed by hand before placing in the dishwasher. 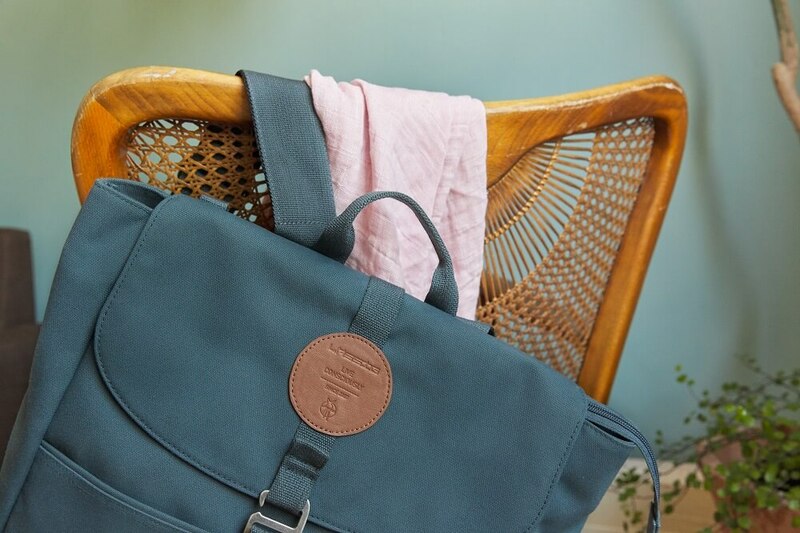 A spare straw is included in the set. Recommended for children 3 year and up.